Last weekend my boyfriend had the bright idea of getting up at 4:30am to go to Billingsgate Fish Market, oh how I jumped for joy at the thought of that early start! I’ve lived in various bits of east London for five years now but never ventured forth to the famous Billingsgate, which has been open since 1699 (!). As a foodie, it’s a must to visit, so, I begrudgingly set my alarm for early o’clock and off we went, before dawn broke. Billingsgate is open from 4:00am until 8:00am Tuesday to Saturday, but the focus is on wholesalers until about 4:45am, so it’s better to come around that time. A lot of the retailers have a minimum of a kilo of product (i.e prawns), so make sure you have plenty of fridge and freezer space before you go. Tiger prawns! Get in my belly! The focus is mainly on locally caught fish and seafood from UK waters but you will also find some exotics, like needle fish, which are normally found in the South Pacific and dried fish from West Africa. 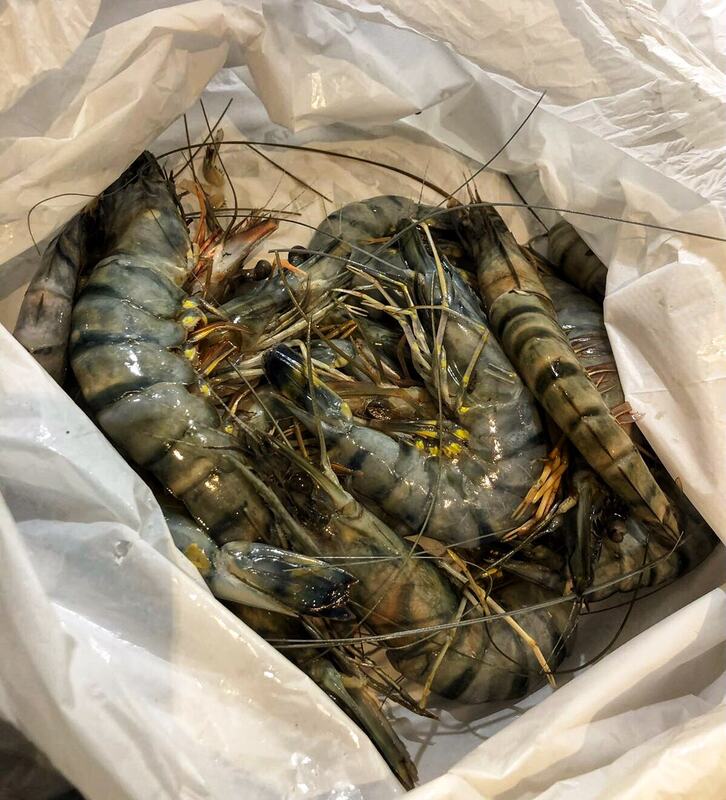 We bought a kilo of prawns, a kilo of tiger prawns, a whole side of amazing salmon (only £30! ), 4 pairs of naturally smoked kippers, a box of scallops and two live Scottish lobsters. Out of respect to the traders, I didn’t take photos inside of Billingsgate, but you can see the beautiful seafood we bought in this post. 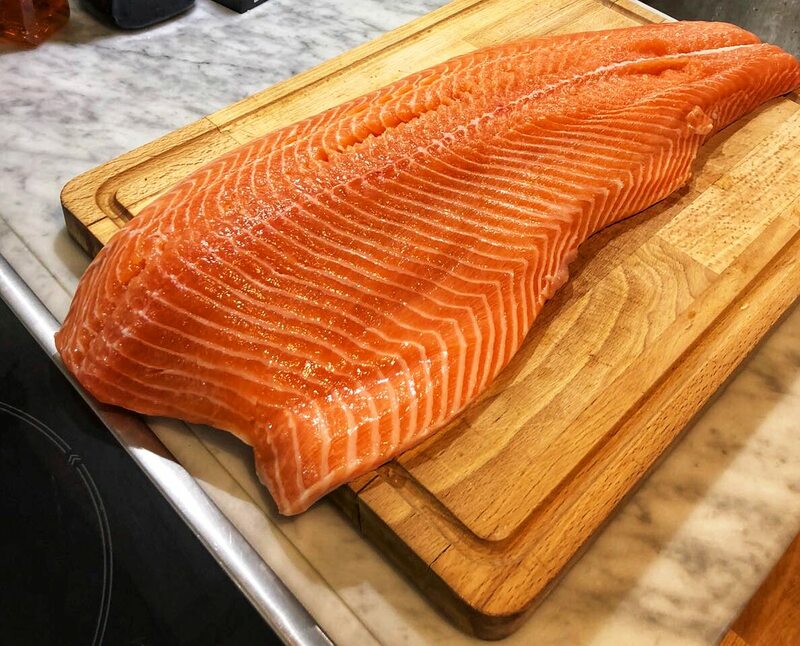 A whole side of wild caught salmon for £30! Bargain! 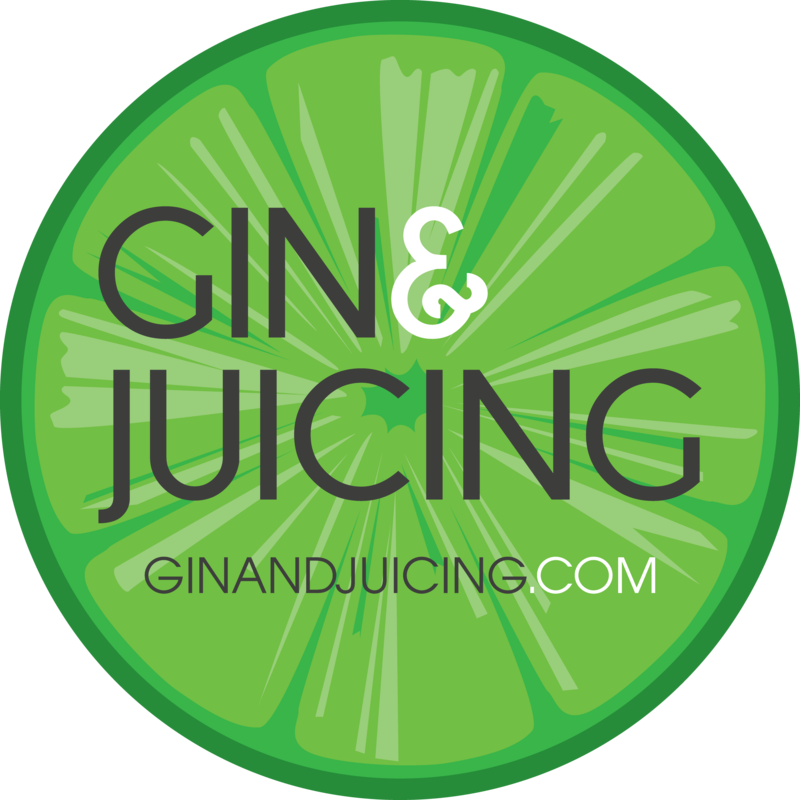 Now we get on to the difficult bit of this blog post, so stop reading if you’re sensitive or possibly vegan. Of the two live lobsters we bought one was more fighty than the other, so I called ‘him’ Larry. The other with the golden tones, was more sleepy, so I named ‘her’ Loretta. And this is where I think the problems started because you shouldn’t really name what you’re about to eat. I was basically setting myself up for trauma. We got our seafood swag home and I made space in the fridge for the lobsters. 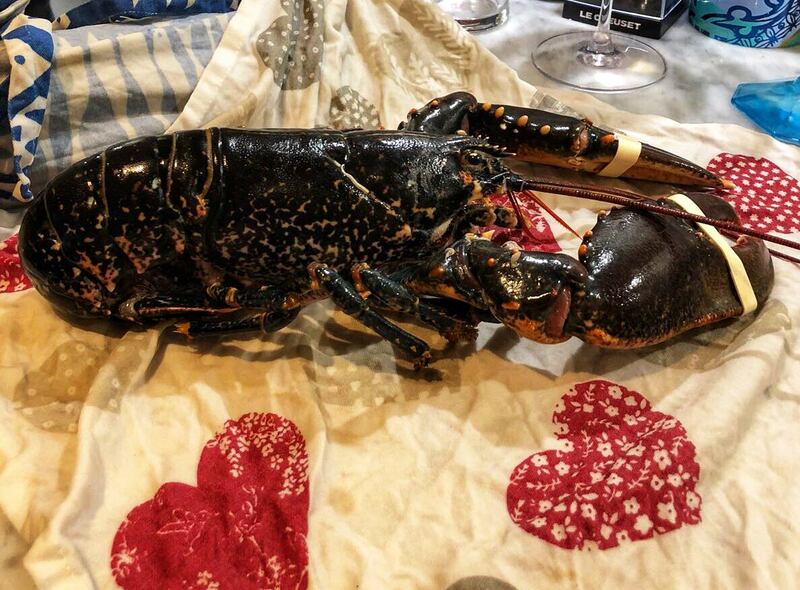 I was determined to make the process as humane as possible, so I wrapped each one (while cooing and talking to them) in wet tea towels (never let a live lobster dry out) and a large plastic bag and put them in the fridge, where the cold would hopefully make them very sleepy. I also rang my grandmother to ask her about cooking live lobsters and she said to put them in the freezer for two hours before you’re going to cook them, which should essentially euthanize them. While I was stroking them (look, they’re basically like sea dogs with hard shells and I love all animals, so don’t judge me) I was awestruck by how beautiful they were. Their shells are a myriad of colours, from black, to green and blue, with hints of orange and streaks of white. Larry marked himself out as a fighter, a brawler from Aberdeen with his (bound) claws thrown wide like he was out on the high street on a Saturday night after too many ciders. I had to admire his fight and unwillingness to submit to his eventual fate. I have no doubt that if his claws were free, I’d be typing this with a few less fingers. Well, my dear readers, after I talked to them and wrapped them gently in tea towels (with Larry fighting me every step of the way) I promptly burst into tears at the thought of killing and eating them. And so the tone was set for the day. Several hours later when it came time to put them in the freezer, we peered into the bag to see that Larry had half worked his way out of the tea towel and was waving a rear leg threateningly. Cue me freaking out (crying again) and unable to put them in the freezer, which was a job that fell to my boyfriend. I calmed down and had a glass of wine…and then heard scratching and thumping noises coming from the freezer. It was Larry! He was not giving up without a fight. Eventually the noises stopped and I thought that the deep freeze had done its job and that both lobsters were in a coma and that we could dispatch them to the pot without a fuss. 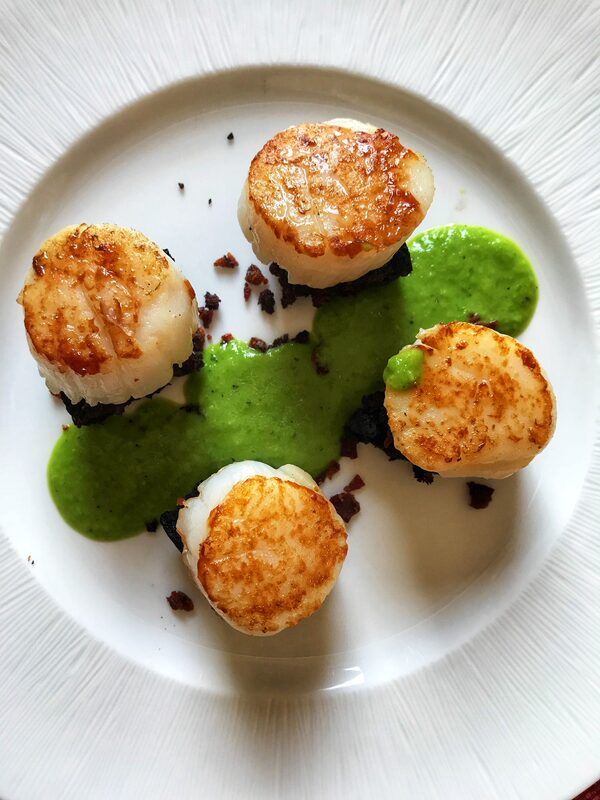 After an excellent starter of seared scallops, black pudding, bacon and pea puree (cooked by my boyfriend, I cannot take any credit whatsoever for this excellent dish) I took myself into another room while my boyfriend did the job of putting Larry and Loretta in the pot. Our biggest pot was set on to a rolling boil, with a tablespoon of sea salt for each litre of water (approximately 6 litres of water) and in they went. What my boyfriend didn’t tell me until they were cooked and bright red was that Larry didn’t go down without a fight. The freezer didn’t send him to sleep! He was still alive and kicking and did not go gently into that goodnight. Were they delicious? Yes, they were. I made a garlic butter (approx. 70gm of pure French butter, two tablespoons of finely chopped parsley and one tablespoon of chopped chives, cooked over a low heat until melted and fragrant), which we poured over the cooked lobster. The claw meat was tender and sweet and the tails were full of delicious meat. Would I do it again? No. As humane as we tried to make the process, it was still traumatic. I didn’t help things by naming them and I felt so guilty that I actually adopted two lobster hatchlings, which I named after my boyfriend and I, from The National Lobster Hatchery in Padstow, Cornwall, which helps to keep the European Lobster population at a sustainable level, as well as educating the public about these fascinating crustaceans. They will eventually be released into the wild, but before they get big enough to explore the briny deep, my boyfriend and I are planning a road trip to Cornwall to meet our shellfish namesakes. The whole process did underline for me the importance of treating animals humanely (which is obvious), but also being conscious of where you buy your food from, how far it’s had to travel to get to you and whether it’s had a good life before it ends up on a platter, covered in garlic butter. 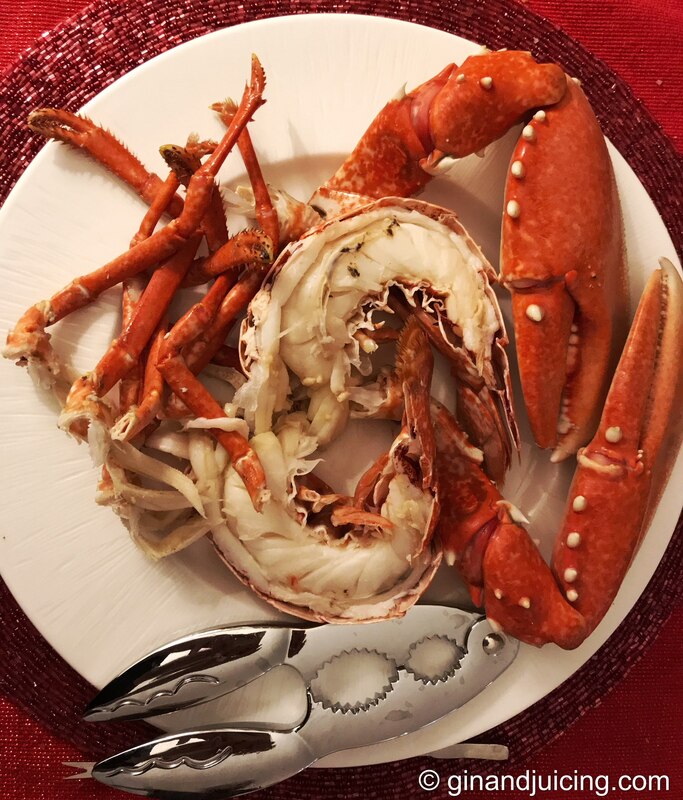 Thanks for reading this long reflection on cooking a live lobster, I hope you’ve enjoyed this post! Share it on social, leave a comment and let me know what you think!